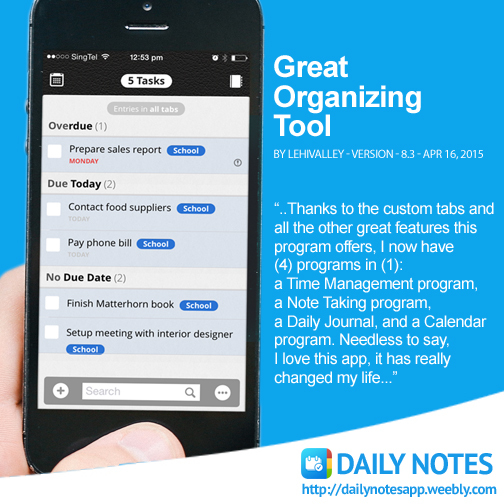 Visit iTunes to look for more awesome reviews from users themselves, on Daily Notes. Grit is the Key to Success: Do You Have it? For support issues, email us at dailynotes@fluidtouch.biz or visit www.dailynotes.biz and click on the support portal to directly send in your inquiries. Enter your email address to get a chance to win Daily Notes for FREE and to also get updates and tips! Download Daily Notes for FREE! Get a chance to win a promo code! Suscribe to our mailing list by submitting your email address and get a chance to win a promo code! Winners will be chosen randomly and will be contacted via the email they've provided. Submit your email address now!